The signifier “Fulani herdsmen” or, better still, “suspected Fulani herdsmen,” has emerged as the new bogeyman in Nigerian media narratives about communal conflicts. These days, no day goes by without reference in the media to “Fulani herdsmen” being responsible for all manner of atrocities. Former presidential candidate Olu Falae, for example, accused unnamed English-speaking “Fulani herdsmen” of abducting him, although we all know most pastoral Fulani don’t speak English. A few days later, we read that unidentified “suspected Fulani herdsmen” abducted another “Yoruba” king in Kogi State. 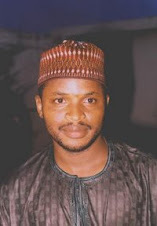 Quickly, narratives have begun to coalesce around the notion that the Fulani are dangerous marauders, with some people suggesting that they be banned outright from Yoruba land because they are “taunting” or “declaring war” against the “titanic” “Yoruba race.” They are called “terrorist groups masquerading as nomadic herdsmen” and as, in fact, indistinguishable from Boko Haram. “I come from the Middle Belt and no doubt harbor my own biases,” he wrote. “What I can tell you, however, [is] that what is happening in Jos Plateau, Southern Kaduna, Nasarawa, Taraba, Benue, Kogi and other places has no precedent in history. 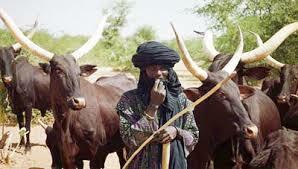 The Fulani have become the armed mobile wing of the New Jihad, a Jihad of conquest, subjugation and humiliation." There are several historical and sociological inaccuracies in the narrativization of the conflict between Fulani herders and farmers that I simply can't ignore. First, conflict between farmers and pastoralists is age-old, and extends beyond the bounds of Nigeria. In East Africa, for instance, conflict between Maasai herdsmen (who are not Muslims and who have more cattle than the Fulani) and farmers has endured for generations, and has been responsible for hundreds of deaths every year. Second, the notion that the communal aggressions of “Fulani herdsmen” is a continuation of the nineteenth-century Jihad by urbanized, sedentary Fulani is an unhelpful conflation of ethnicity and religion that is not grounded in the wispiest shred of sociological evidence. Such a conflation assumes that every Fulani is invariably a Muslim and that his actions and inactions are, ipso facto, animated by Muslim expansionist impulses. That’s an intensely problematic assumption. Many, perhaps most, Fulani herders who have sanguinary confrontations with farmers in the Middle Belt, in Yoruba land, and elsewhere are neither Muslims nor Christians, and those that are Muslims aren’t affiliated with, nor are they inserted into the currents of, global Islamic expansionist consciousness. They are simply cattle herders who clash with farmers irrespective of the ethnicity and religious identity of the farmers. They have perennial clashes with Hausa Muslim farmers in the northwest, with sedentary Muslim Fulani farmers in the northeast, with (Muslim) Yoruba farmers in the southwest, and so on. In my part of Borgu, which is over 90 percent Muslim, clashes between farmers and pastoral Fulani habitually escalate into the kind of sanguinary fury that drenches the land with blood. Yet the Fulani are such an integral part of our society that the Mare Suno (or the King of the Fulani) is often one of the 7 kingmakers that elect our emirs. Lastly, the notion that the rise of the Alimi ruling dynasty in Ilorin is a direct outgrowth of the Usman Danfodio Jihad is one unregenerate historical fallacy that has undeservedly outlasted its shelf life, thanks to repeated mentions and lack of sustained rebuttals. As I pointed out in previous articles here, insights from the late Professor Abdullahi Smith’s writings (which are distilled from translations of the travel notes of Arab travelers who witnessed events in nineteenth-century “Nigeria”) tell us that the Ilorin jihad wasn’t a direct offshoot of the Usman Dan Fodio jihad. Alimi, the progenitor of the current ruling family in Ilorin, was an itinerant Fulani preacher in Yoruba land whom Afonja volitionally invited to Ilorin. Afonja wanted Alimi to be his spiritual guardian (or “Alfa”) to ward off what he thought were the machinations of the Alaafin of Oyo with whom he was locked in long-drawn-out supremacy battles. After settling in Ilorin, many of Alimi’s Yoruba students from different parts of Yoruba land decided to follow him to his new home. In time, Alimi grew so popular that Afonja feared that he would eclipse him, so he asked Alimi to leave. It was Alimi’s students, most of whom were Yoruba, that fought and defeated Afonja. This upheaval was coeval with, perhaps even inspired by, but was by no means the direct consequence of, the Usman Dan Fodio jihad. There is no greater evidence for this than the fact that Alimi and his disciples were not given the “flag” of the Sokoto Jihad until after at least three visits to Sokoto. They weren’t given the flag because they weren’t directly connected to the Sokoto jihad. They had to convince the people in Sokoto that although they were not affiliated with the original Jihad, they had established a Muslim state in Ilorin, which deserved the recognition and blessing of the emergent epicenter of what would become the Caliphate. It bears repeating that contemporary pastoral Fulani have no direct cultural or sociological connection with urbanized, sedentary Fulani. The pastoral Fulani’s primary loyalty isn’t to any religion or ethnicity; it is to the wellbeing and fertility of his cattle. But attributing Jihadi or ethnic motivations to what is essentially an existential conflict is not only profoundly unsociological, it is also vulgar empiricism of the worst kind.